Narrow lanes with deep yellow and orange colonial architecture lead to its large square (plaza Miguel Hidalgo) and 19th century parish (Parroquia de Santa Maria de la Asuncion). It’s truly a place to kick back and sit in the shade on a bench near the sombrero-ed men doing the same or consume food and drink at one of it’s small cafes surrounding the square. It was here I was introduced to Virgin Mary’s made with tequila and never once regretted it the next morning. The perfect place for a weekend retreat Tequisquipan has pollution free skies and at one time was known for its thermal springs. There are at least half a dozen hotels with pools. 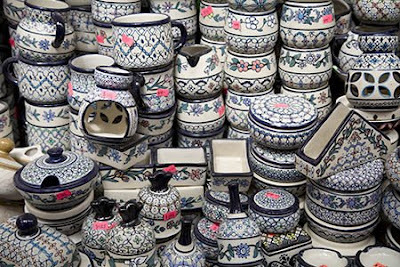 It also has an artisans market and food and household markets. They are all located next to one another and are a short stroll from the main square. 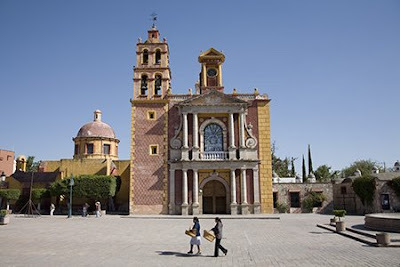 Located in the state of Queretaro Tequisquipan is about a three and a half hour bus ride from Mexico City. This is a place for me! I would love to travel to the Queretaro province. Do you think it is safe for a solo woman? All the bad press re: safety that Mexico's been getting in the web is kind of alarming. What an enchanting town! 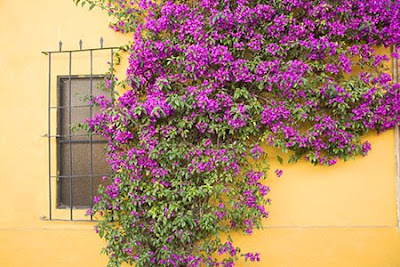 Any place with bouganvilla springled every where qualifies as paradise to me. Stopping by for my Mexico fix! I would leave this minute to go there if I could. Have been thinking of Mexico all day. Ah - the bougainvilla! Jen, It is safe. the areas to be concerned about are by the border, places you wouldn't want to go to anyway. Fly Girl, I like that criteria. Priyank, They are handmade pottery--bowls, creamers etc. Catherine, I understand why. It's an incredible place in so many ways. brings back some good chilling out memories of our trip..
Tequisquipan? Wonderful place, it seems! !